I’ve been thinking of this title since late spring and seen the photo I’ve wanted to capture many times but haven’t had the opportunity until today when I finally pulled over and used my iPad. 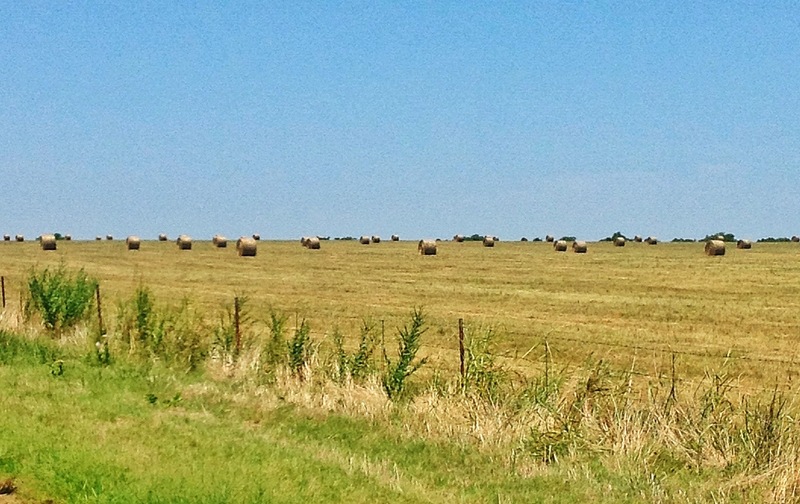 This entry was posted in Photo, Picture from yesterday and tagged agriculture, bale, Hay, nature, tisha clinkenbeard photography. Bookmark the permalink. Looks cool, but I miss the rectangle ones. 😦 Sentimental, I guess. They are hard to find nowadays. Our neighbor small bales a corner lot on our road.